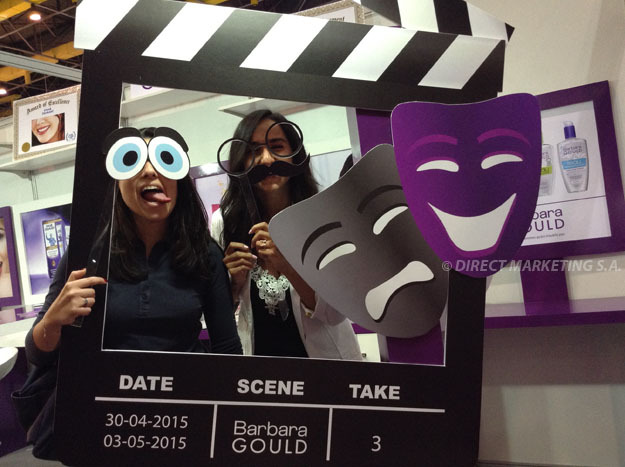 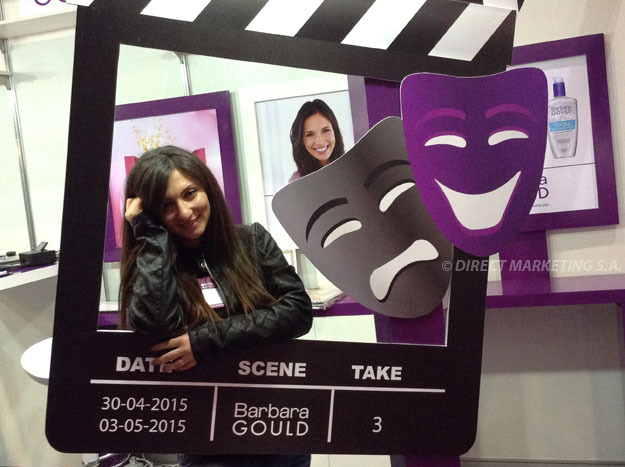 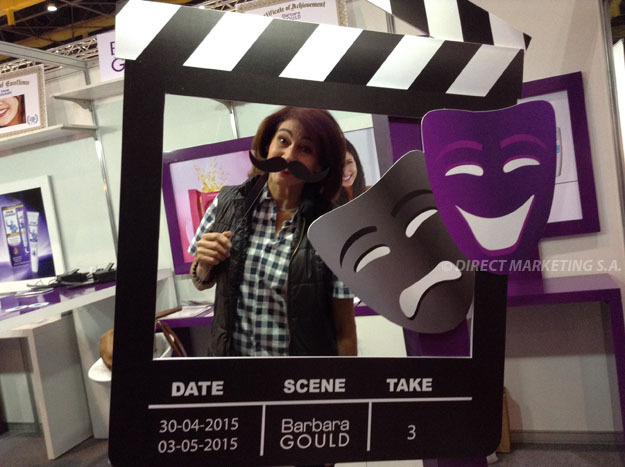 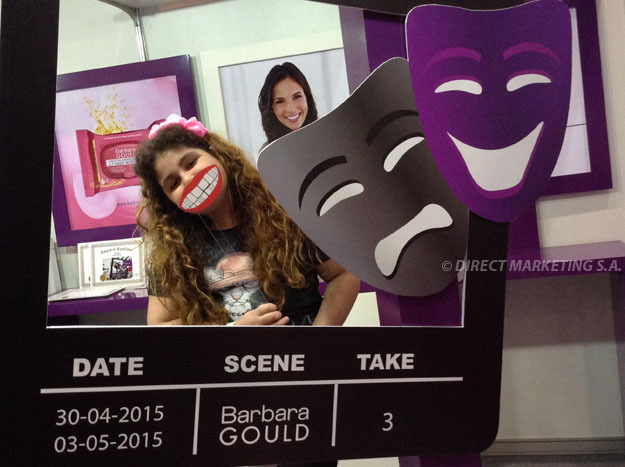 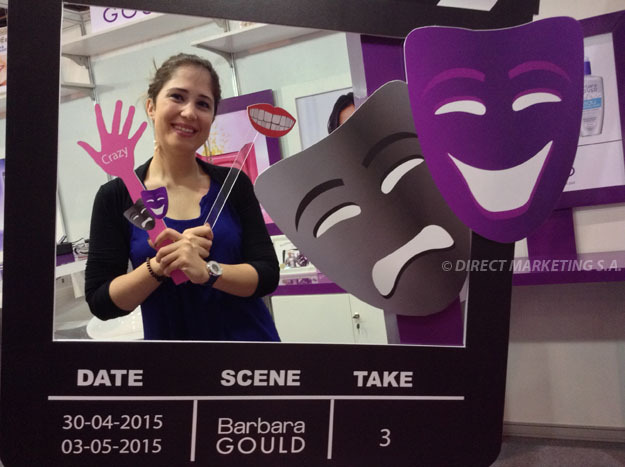 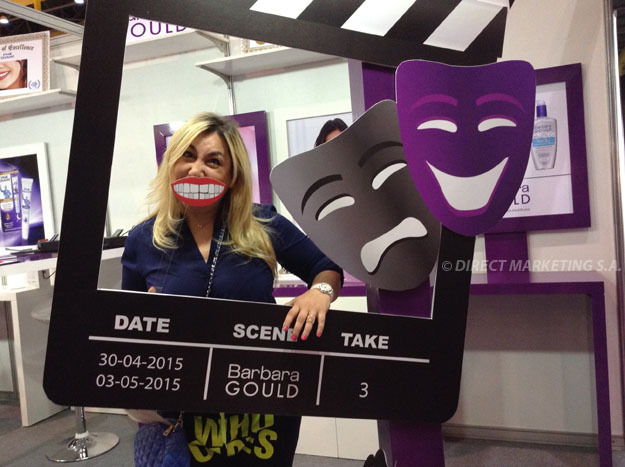 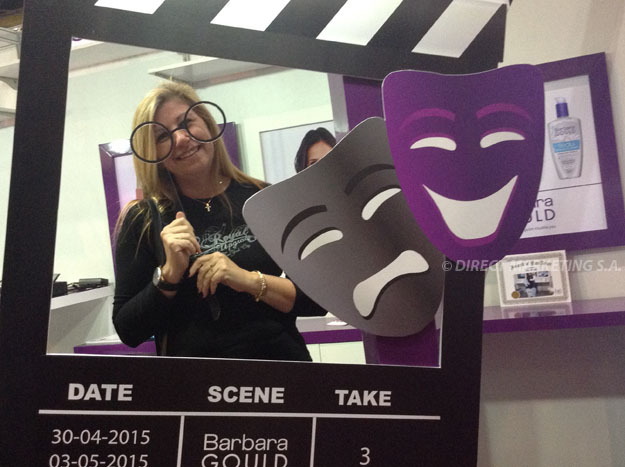 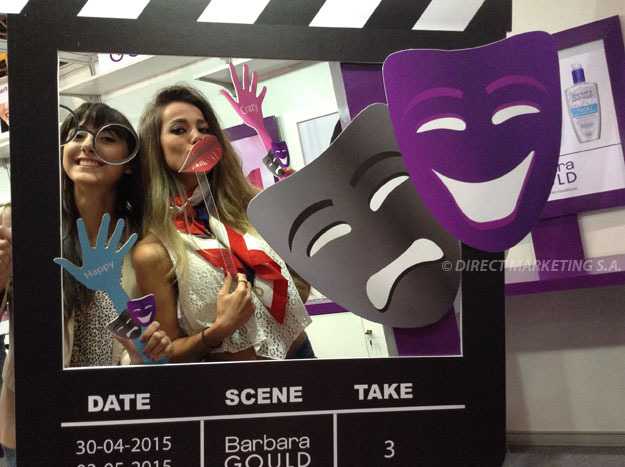 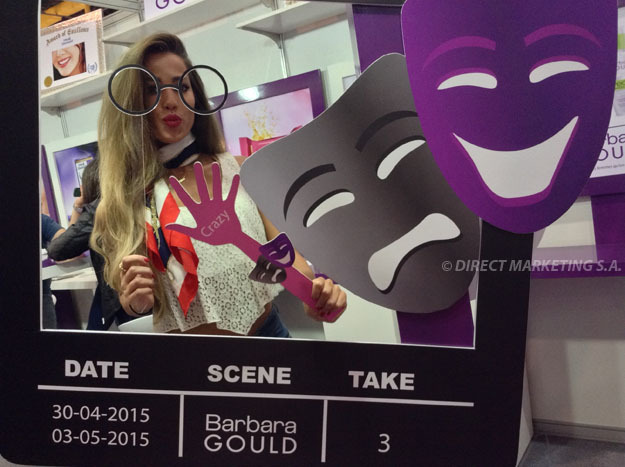 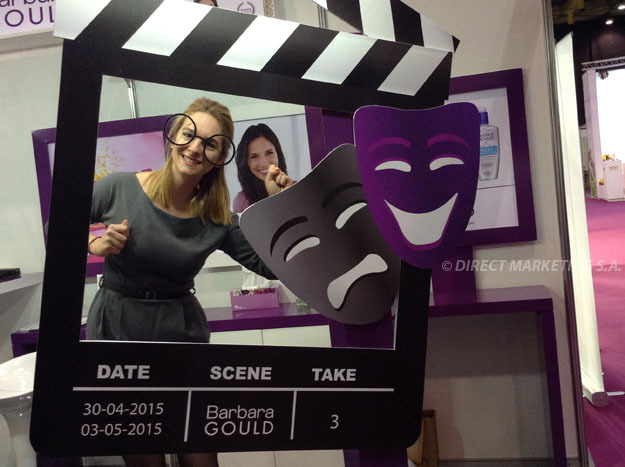 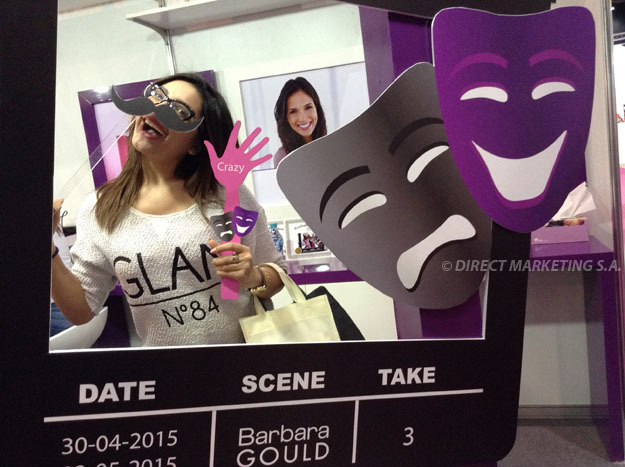 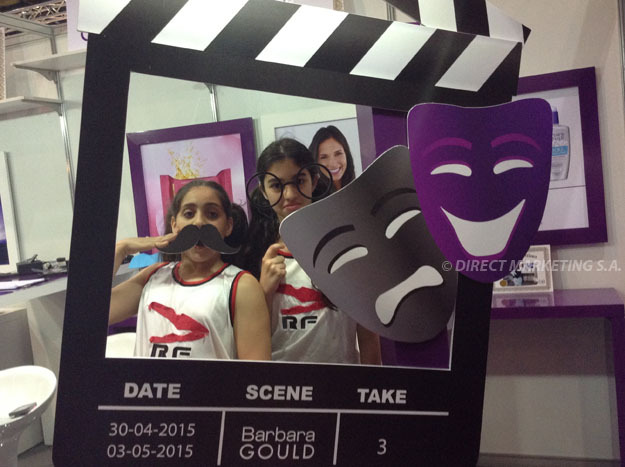 Barbara Gould | Activations & Events | Brands in Action | Direct Marketing S.A.
A product launch needs a special buzz to stand out. 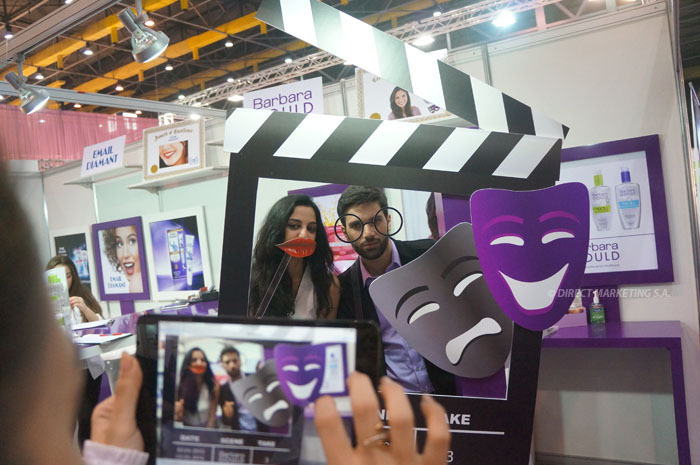 Otherwise, it can go unnoticed. 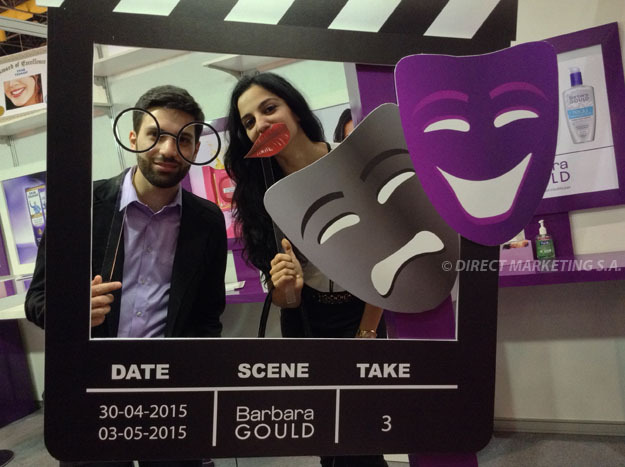 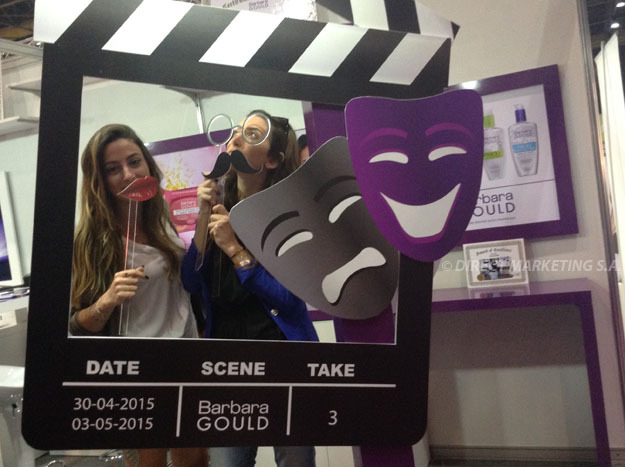 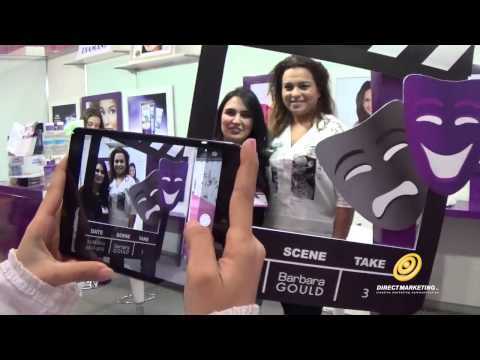 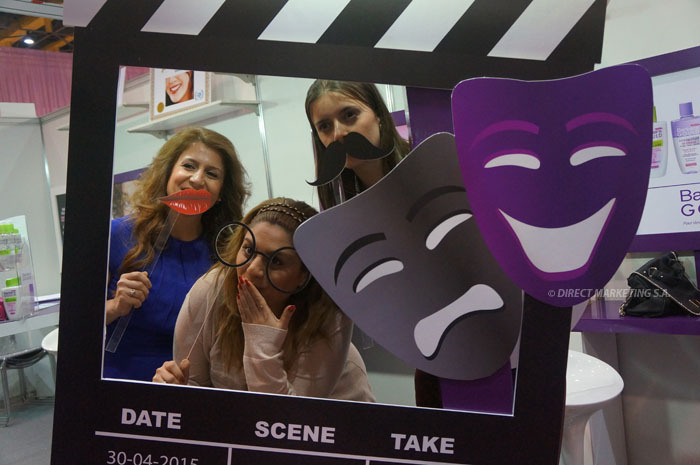 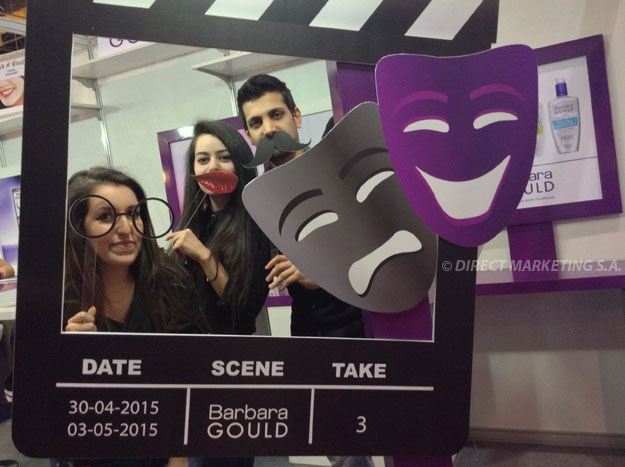 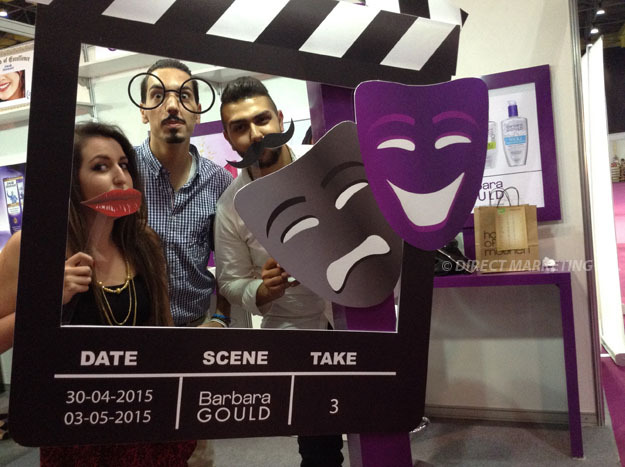 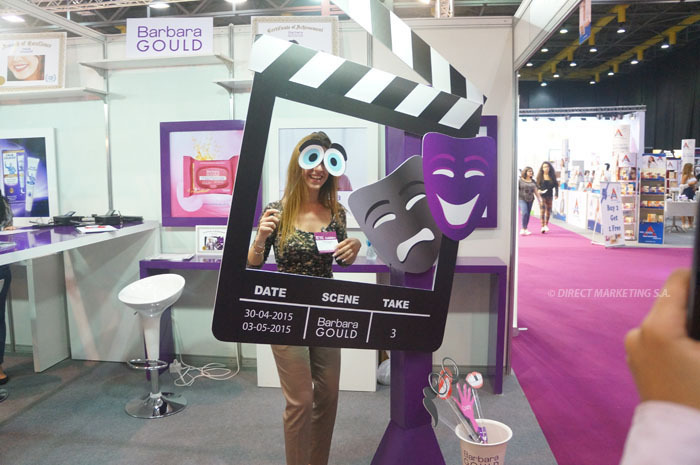 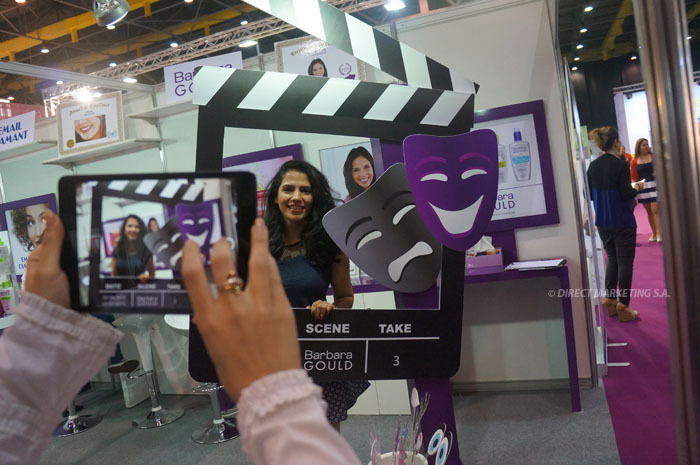 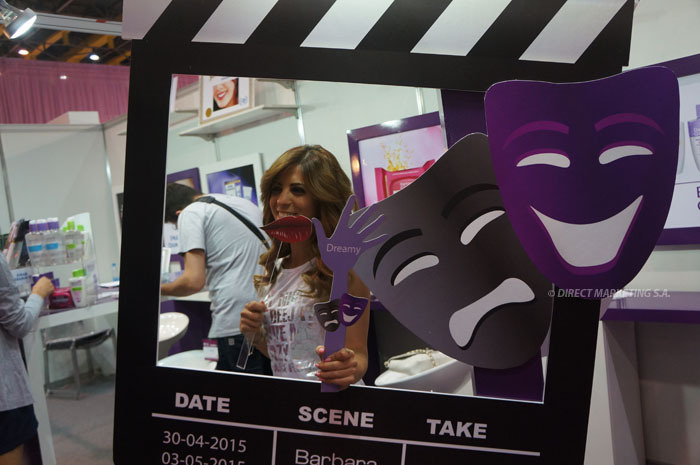 That’s why Mersaco, one of our regular clients, asked for our help to introduce the range of Barbara Gould beauty products at the Women’s World exhibition in Beirut. 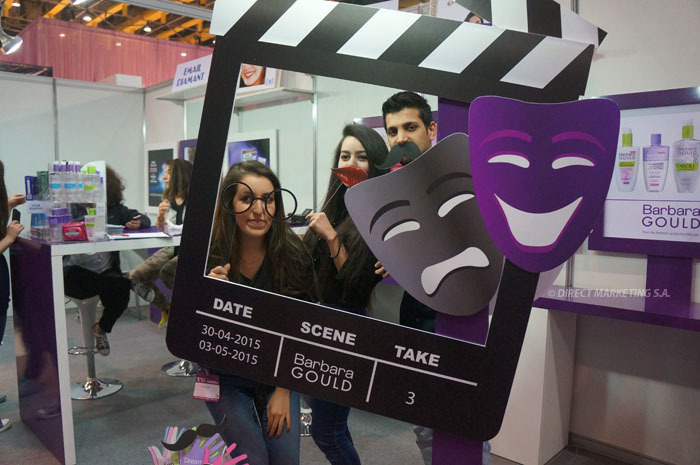 The stand was conceived to be both informative and interactive. 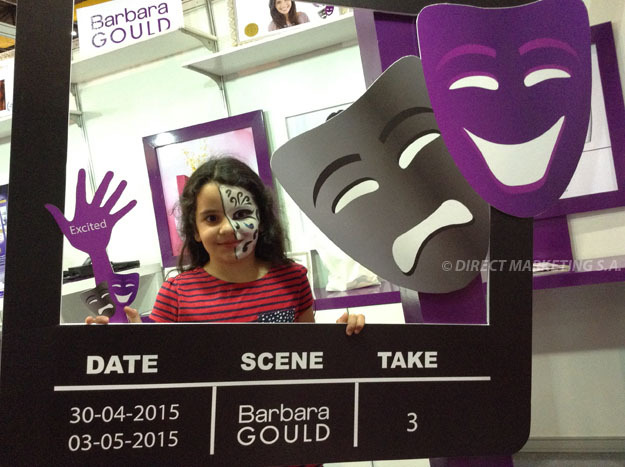 Promoters explained to visitors what Barbara Gould had to offer and distributed brochures featuring the entire brand products. 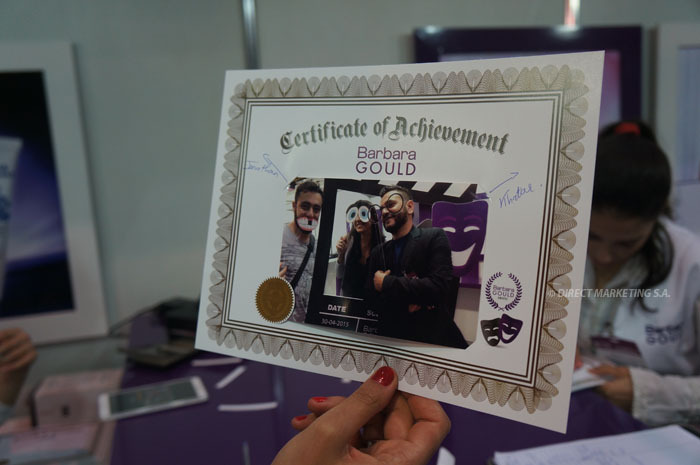 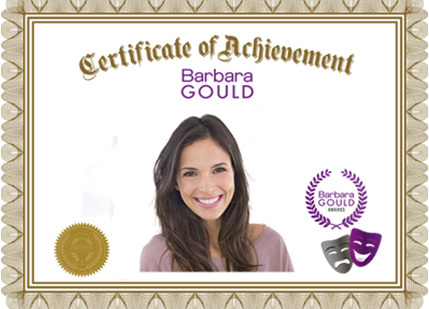 They also invited visitors to take part in a role-playing game and get a Barbara Gould certificate of achievement. 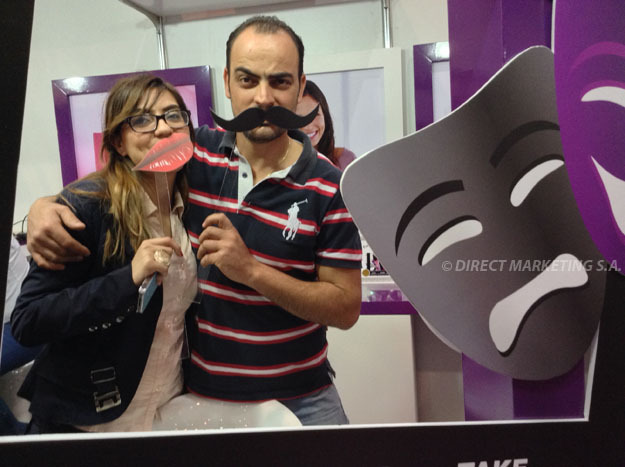 Visitors had to pick an arm-shaped stick and act out the emotion written on the hand, using props such as a moustache, glasses, funny eyes, and lips. 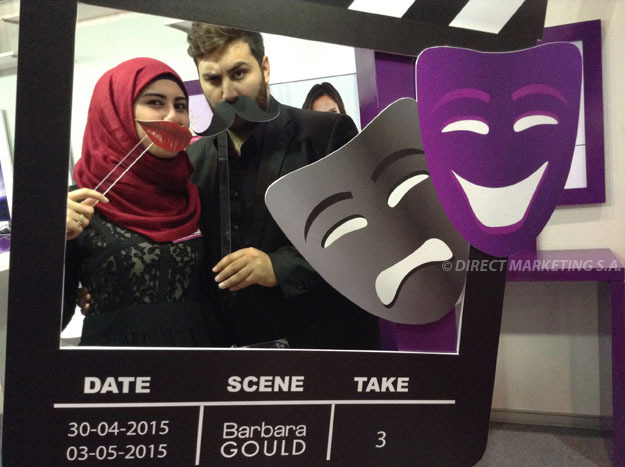 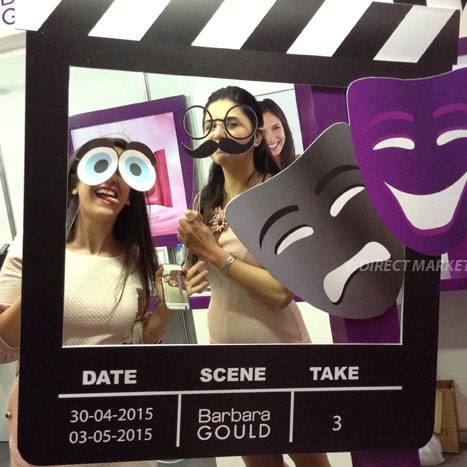 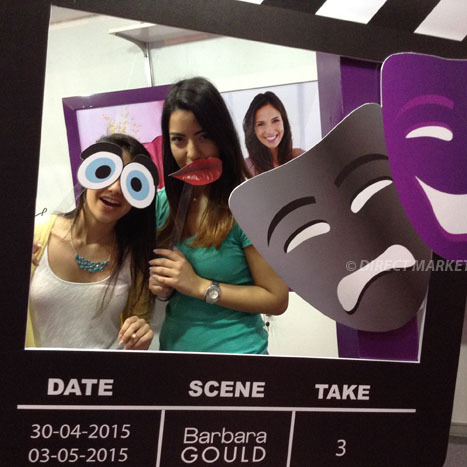 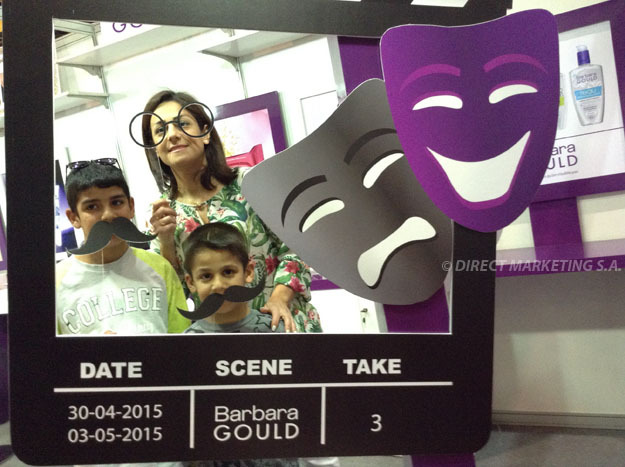 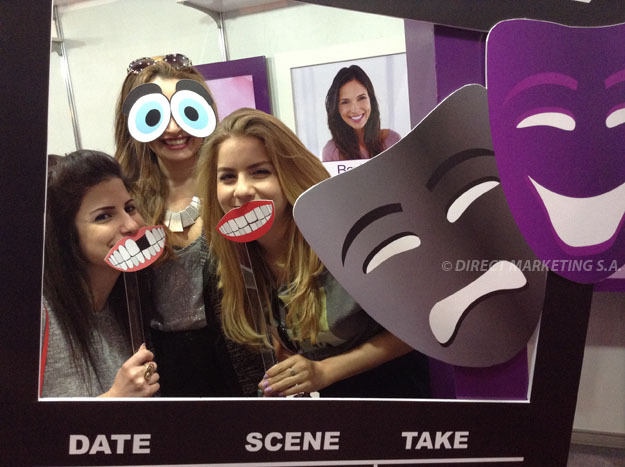 Once ready, they could have their picture taken and printed instantaneously at the Barbara Gould photo booth. 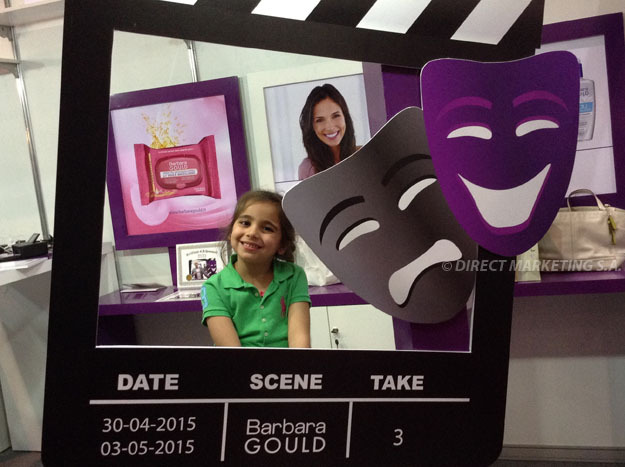 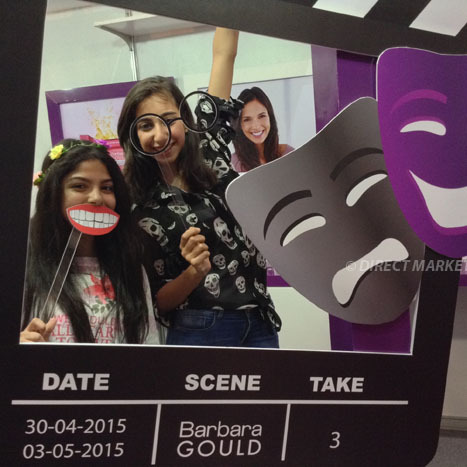 The setup was such a hit that it attracted visitors of both genders and of all ages, which helped Barbara Gould build brand recognition across targets.